If you plan to list your house in the foreseeable future, you should do everything possible to differentiate your residence from the competition. That way, you can show homebuyers exactly what your house has to offer and increase the likelihood of a fast, profitable home sale. Now, let&apos;s take a look at three tips to help you optimize your home&apos;s potential. 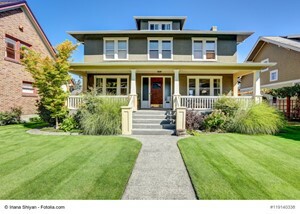 Your house&apos;s curb appeal may dictate how quickly your residence sells. If you allocate time and resources to transform your home&apos;s exterior from drab to fab, you may be able to reap the benefits of a speedy home sale. Mow the lawn, trim the hedges and perform other home exterior upgrades. By doing so, you can take your house&apos;s curb appeal to new heights. Also, if you need assistance with home exterior projects, you can reach out to local home improvement professionals. Contractors are available in cities and towns nationwide, and these professionals can help you enhance your house&apos;s curb appeal in no time at all. Clutter is an eyesore that home sellers need to eliminate. Because if your home is overloaded with antiques, decorations and other items, it may be tough for homebuyers to envision what life may be like if they purchase your residence. If you own lots of items but want to keep these belongings, there is no need to worry. You can always rent a storage unit where you can store various items until your house sells. Or, you can contact family members and friends to find out if they can store some of your belongings for the time being. On the other hand, if you want to get rid of assorted items, you can host a yard sale or sell items online. This will enable you to simultaneously remove clutter from your house and earn extra cash. Identifying home problems sometimes can be difficult. Luckily, home inspectors are available who can analyze your residence and offer valuable property insights. Typically, a home inspector will review your residence over the course of a few hours. The inspector then will provide you with an inspection report that details his or her findings. If you analyze the inspection report closely, you can gain comprehensive insights into your house&apos;s strengths and weaknesses and prioritize home improvements. If you need help finding a home inspector or completing other home selling tasks, you may want to hire a real estate agent as well. A real estate agent will help you revamp your house both inside and out and ensure your residence stands out to property buyers. Perhaps best of all, a real estate agent is happy to respond to any of your home selling concerns and questions, at any time. Maximize your house&apos;s potential – use the aforementioned tips, and you can update your residence and differentiate your home from the competition.